Property Damage Due to Unnatural Acts? Mudslides? Earth Movement? Have the unnatural acts of another person or entity resulted in damage to your residential or commercial property anywhere within the state of West Virginia? Angotti & Straface Attorneys at Law L.C. in Morgantown is a landslide and soil litigation law firm representing the interests of clients who have suffered structural and property losses as a result of landslides, mudslides, and other types of earth movement that were caused by an at fault party. If you have been forced to evacuate your property as a result of a landslide, have experienced the partial or complete subsidence or collapse of your backyard, home, and/or business, are dealing with the destructive intrusion of mud into your property, or any other loss due to earth movement caused by someone else’s acts, contact our experienced attorneys right away. Angotti & Straface has been protecting the interests of those facing devastating losses caused by unnatural earth movements since 1952. 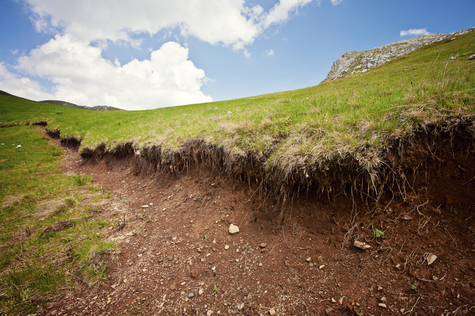 There are many causes of landslides, mudslides, soil subsidence, and other damaging earth and rock movements. In some cases, these movements are considered “acts of God,” and no liability can be placed. However, ground instability was directly or indirectly caused by a negligent act such as the failure to stabilize areas downhill from active earthmoving activities, poor control of water flow/leaking pipes, logging activities, fracking, incompetent engineering by private or municipal contractors, or other similar acts, our law firm will act to hold the at fault party accountable for the damages that you have suffered. Contact Angotti & Straface Attorneys at Law to schedule your complimentary initial consultation to discuss your claim. We have over 66 years of combined experience successfully representing victims in all types of soils litigation and earth movement claims. Call our knowledgeable staff at: (304) 292-4381.